[Philippe Pinel, French physician, pioneer of humane treatment of the insane.] Autograph Letter Signed ('Pinel Prof en med') in French, to 'Monsieur Marron', explaining why a patient cannot be placed in the interior of l'Hospice de la Salpêtrière. Hospice de la Salpêtrière, Paris; 23 October [no year]. 1p, 12mo. Bifolium. In good condition, lightly aged, with thin strip of paper from mount adhering to reverse of second leaf, which is addressed 'A Monsieur | Monsieur Marron | President du Consistoire | de L'Eglise reformée | Paris'. Seventeen lines of text in a neat and close hand. The letter concerns a patient named Therese Chauler, regarding whom, on Marron's recommendation and as a result of an appeal by her parents, Pinel wishes he could do 'quelque chose qui fut agréable', by 'la retirer de la division des alienés pour la faire passer dans le reste de l'hospice'. [Philippe Pinel, French physician, pioneer of humane treatment of the insane.] Autograph Note Signed ('Pinel') to Monsieur Des-rain de Gramond, notaire, stating a time for l'affaire en question'. No place; 1 October 1823. 1p, 16mo. Bifolium. In fair condition, aged and spotted, with the two leaves separated. Addressed on reverse of second leaf 'à Monsieur Notaire Des-rain de Gramond | à Paris'. Indicating Pinel's old age, the note reads: 'Monsieur | l'affaire en question aura lieu demain à la Sapetriere [sic] a deux heures tres precises | ce 1st octobre 1823 | Pinel'. 1p, 4to. In good condition, lightly aged and sunned, with several folds. 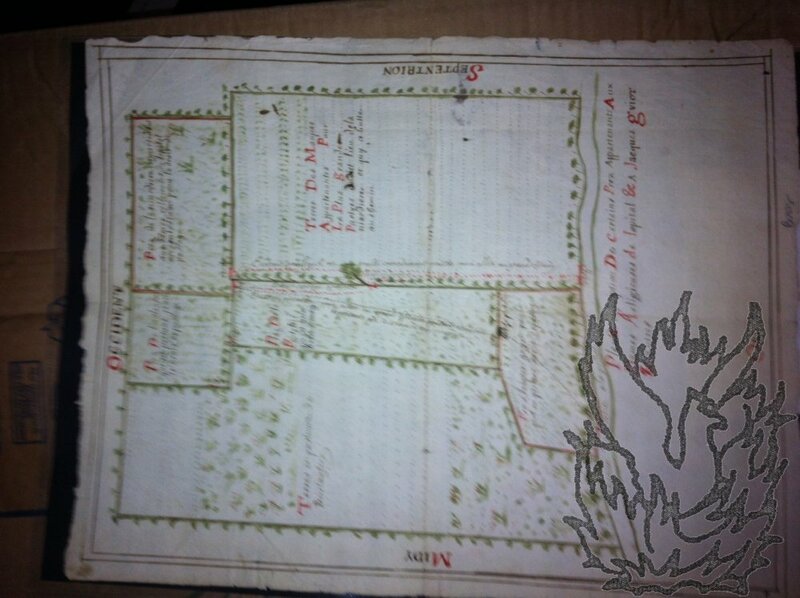 The document is unsigned, but is certainly in Pinel's hand. A rough draft of a plan for a composition, in a few lines, with corrections and deletions. Written in a hurried hand which is difficult to decipher. The heading begins: 'essai de Classification du Maladis'. There follow four headings for an intended table: 'Classes', 'ordres', 'Gens', 'Espèce'. [Rudolf Nureyev: personal reminiscences of John Phillips.] Privately printed collection of 'Nureyev Notes August 1966', regarding 'Sleeping Beauty' at La Scala, Milan. Inscribed by Phillips to Barbara Reed. Privately printed. [Phuket, Thailand; 2009.] Inscription of February 2011. [John Moore of Tewkesbury, writer, naturalist and conservationist.] Autograph Letter Signed ('John C Moore') to Edward Thomas's friend R. N. Green-Armytage, asking for personal recollections of Thomas, and the loan of letters, for his biography. On his letterhead, 11, The Gastons, Gloucester Road, Tewkesbury, Gloucestershire. 17 January 1936. 2pp., 4to. In fair condition, lightly aged and creased. Addressed to 'Dear Mr Green-Armytage', corrected from 'Armitage'. The letter begins: 'You may have heard that a Committee, of which Walter De la Mare is chairman, is considering the question of putting up some sort of memorial to Edward Thomas. At the same time I am beginning work on a Life and Letters of Edward Thomas, which has Mrs Thomas' approval, and is intended to be something in the nature of a memorial edition.' He will 'shortly be issuing an appeal in the press for the loan of letters etc in the possession of E.
[De La Rue Company Limited, manufacturers of playing cards and currency.] Typed Letter Signed from company chairman Bernard C. Westall to Viscount Portal, presenting a copy of the company history. On letterhead of The De La Rue Company Limited, De La Rue House, 84/86 Regents Street, London W.1. 19 July 1963. 1p., 4to. In fair condition, lightly aged and creased. Salutation ('Dear Lord Portal') and valediction ('I hope you are well. | Kindest regards | Yours sincerely | Bernard C. Westall') in autograph, the rest typed. Addressed to 'Marshal of the Royal Air Force, | the Rt. Hon. [ French law bookseller's catalogue. ] Catalogue des Livres Nouveaux, de Fonds, en nombre et d'assortiment. 8pp., 8vo. Disbound and without wraps. In fair condition, lightly aged. Manuscript emendation on p.6. A law bookseller's careful and businesslike priced catalogue of unnumbered entries, several of which are accompanied by long descriptions by the author in small type. No copy in the Bibliotheque Nationale, nor on OCLC WorldCat or COPAC. [ Coulson Kernahan, English novelist, journalist and poet. ] Eleven Letters (nine in Autograph and two Typed) signed 'Coulson Kernahan', to the author C. S. Johns, mainly on literary connections, including Stephen Phillips and Philip Bourke Marston. Nine on letterhead of Frognal, Fairlight, Hastings. One on lettehead of Fawndene, West Hill, Hastings. 1927 (6), 1928 (2) and 1930 (1). Two undated. For information on Kernahan, see his entry in the Oxford DNB. The eleven items are in fair condition, lightly aged and worn, and total seventeen pages in autograph and two pages typed. Most of the letters have the year added in pencil in another hand, of the other two letters without a year, one (from Fawndene) is dated 2 January ; and the other (from Frognal) has no date at all [January 1928?]. Kernahan's handwriting is difficult to decipher, and the readings from the autograph letters are tentative. 7 + pp., 8vo, with fold-out pedigree. Unbound and stitched. In fair condition, lightly aged and worn. The 25 x 42 cm fold-out is headed 'Pedigree illustrative of the marriages of the daughters and coheirs of Sir Nigel Loryng, K.G., XXth Founder of the Order of the Garter, and of the families with whom they and their descendants became allied, namely: Haryington, Peyvre, Cogan, Fitz Waryn, Broughton, Courtenay, St.
[ Jérôme De la Lande, French astronomer and freemason. ] Autograph Letter Signed ('De la Lande | de l'accad. des Sciences'), in French, with engraved portrait. 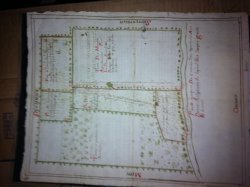 'Au College royal le 13 dec. 1783'. Both items in good condition, with light signs of age, and both tipped in to a paper folder, on the front of which is written the entry from the1833 bookseller's catalogue from which they were purchased: 'La Lande Member of the Academy of Sciences at Paris, a very interesting Letter to some Magistrate soliciting relief for the purpose of his labouring usefully, having expended much money on his pursuits, without reserving any indemnity. It exhibits his delicacy in soliciting this assistance, and expresses a hope that his asseverations will obtain credit. [ Guillaume Lejean, French ethnographer and African explorer. ] Autograph Letter Signed ('G. Lejean') to unnamed correspondent, regarding his writing for various publications, and a spat in Le Pays between Lamartine and the Vicomte de La Guéronnière. 2pp., 8vo. On bifolium. In fair condition, on lightly-aged and creased paper. 52 lines of text, written in a close and difficult hand. He begins by explaining his silence 'depuis deux grands mois'. He refers to 'notre ennuyeux papier, comme Guilmer continue à appeler les journaux', and states that he has been doing 'un peu de redaction dans le Pays, soit la Revue de la Presse, soit les comptes rendus des Académies'. He begins by explaining his silence 'depuis deux grands mois'. 1p., 4to. Bifolium. Addressed on reverse of second leaf to 'Monsieur Bennis a la librairie Anglaise Rue Neuve St Augustin No 99'. In fair condition, on aged and lightly-worn paper. He had believed that he had a reciprocal agreement with Bennis, allowing him to borrow 'quelques volumes du Cabinet Cyclopedia', but he has now learned that Bennis has, 'contre ordre', cancelled his 'demande de Carnets'. As a consequence, 'par reciprocité également', he is returning the four volumes that he last borrowed, and he asks him to close his account. [Alphonse de Lamartine, French poet.] Autograph Letter Signed ('Al. de Lamartine'), in French, recommending a selected edition of his 'faibles écrits'. Written on the reverse of a printed 'Prospectus des Œuvres choisies de M. Lamartine'. Lamartine's letter, of 1p., 12mo, on a blank page on the reverse of the prospectus, which is 2pp., 8vo, on a bifolium. In fair condition, lightly aged and worn. The letter is addressed to an unnamed individual ('Monsieur'), and consists of twenty lines of text. He has been encouraged by 'Les rapports de bienveillance intellectuelle', he is sending the prospectus for his selected works, which he has himself revised, augmented, annotated and edited. [Giovanni Domenico Ruffini (John Ruffini), Italian author and patriot.] Autograph Letter Signed ('J. Ruffini'), in English, thanking the publishers [Edmonston & Douglas of Edinburgh] of his book 'A Quiet Nook in the Jura' for their care over it. Paris, 6 Rue de Vintimille. 18 April 1869. 1p., 12mo. In fair condition, on aged and worn paper. Addressed to 'Gentlemen', the letter begins by acknowledging ('were it only for the sake of regularity") the receipt of a cheque for £30 18s 10d, 'being my share of the profits of the first Edition of a quiet nook'. He considers that this 'result [...] proves once more, if needed, that quiet books have no chance with the public', and concludes by acknowledging 'the great care and perfect taste which you have bestowed upon the Volume, and which alone ought to have secured to it an abundant Sale'. 'A Quiet Nook in the Jura.